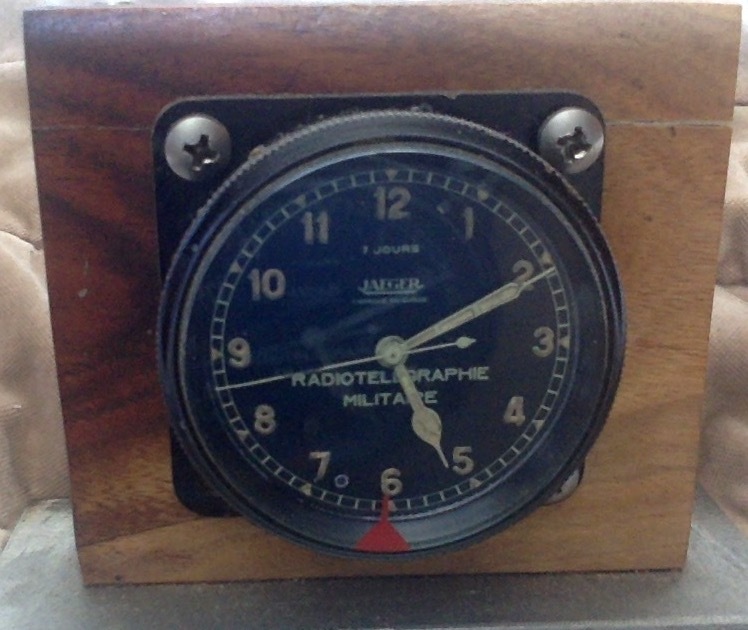 A clock from French military airplane. Probably from 1940's. Not LeCoultre, but still cool. To wind a watch You need to turn the bazel clockwise (fortunately it has an 8 jours power reserve ). If You want to turn the red marker behind the crystal You turn counter-clockwise. To adjust the time, there is a pusher on the left side, You press it and then turn the bazel. Thx. I keep it on my work desk. More people have asked me about it then about any of the wristwatches that I wear.